It seemed grizzly bear hunting was about to become a thing again. 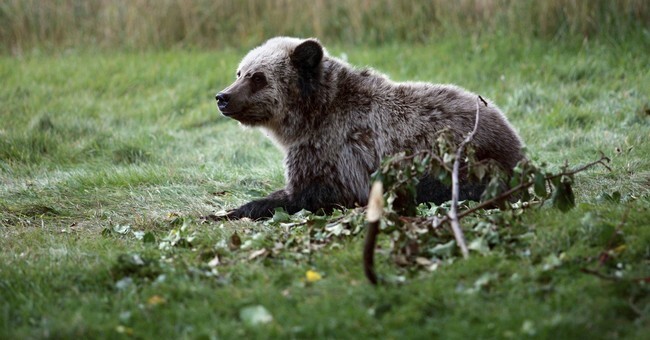 While the species was on the brink of collapse, protections reportedly helped the grizzly bear population grow to the point that some were ready to begin hunting again. Now, a federal judge has killed that hope. The first public land grizzly bear hunt in nearly three decades has been canceled following a U.S. federal judge ruling to restore grizzly protections on Monday. The judge overruled Trump administration officials and rejected claims that the predator species had recovered after being placed under the Endangered Species Act in 1975. Wyoming and Idaho were both teetering on the edge of allowing hunters to hunt NO MORE than 23 bears this fall, but U.S. District Judge Dana Christensen, who oversaw the case, ordered federal protections be completely restored this week. In his ruling, Christensen wrote the case was “not about the ethics of hunting,” ABC News reports. He said it was instead about whether or not federal officials adequately considered threats to the longevity of the species after protections were lifted last year. He continued saying the U.S. Fish and Wildlife Service officials were “arbitrary and capricious” in their 2017 decision to remove the bears’ protections under the Endangered Species Act. Of course, this comes less than two weeks after a grizzly mauled a hunting guide in an area that many say is in desperate need of culling. However, let’s also face facts here. There’s a better than average chance that this has nothing at all to do with the grizzly bear population in the first place. Almost everything else the Trump administration has done has been challenged in federal court. Christensen is an Obama appointee, which tends to tell you all you need to know about his motivation. This isn’t about the good of the grizzly bear, especially since it’s been shown time and time again that properly managed hunting improves populations. No, this is about #Resist. In other words, Christensen isn’t basing this on sound legal theory. He’s basing it on sticking it to the Trump administration. The plan was to hunt a few of the bears, which would help keep their population in check a bit and prevent people from being hurt. Bears are dangerous creatures, after all. They’re beautiful to watch, but they’re also apex predators. You don’t want to play around with them. But Judge Christensen doesn’t care about that. He just wants to make nice with the anti-Trump crowd. He’s sticking it to the man, but then someone else is going to be mauled to death, and what will the good judge do? Nothing. I doubt he’ll feel a moment of guilt over the act. The issue is hunting, not politics. At least, that’s what the issue is supposed to be about. It should be non-partisan, but in this day and age, nothing’s non-partisan. Don’t get me wrong. I’d love to be mistaken. I’d love to know that Christensen based his decision solely on the law, not politics, but can anyone tell me with a straight face that it was?